Shane Cotee of In The Branches and Steven Taylor of Ghostwire have a history of working together on electronic music. Steven mastered Shane’s second release from The Adaptive, 2015’s “Evolve”, starting a lasting friendship built on modern psychedelic music. Among many upcoming collaborations, “Songs From The Abyss” was a vision that started with live guitar loops & improvisations on a 7-string Ibanez guitar. Shane sent about 30 minutes of raw recordings to Steven, then Steven sent back several new layers to mix into the tracks. This continued for the first half of the album, made of three songs that average over 10 minutes each. 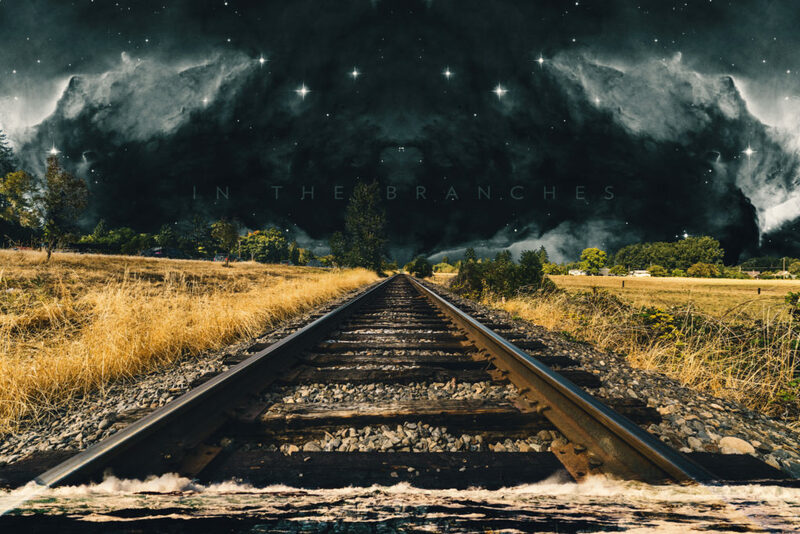 The album artwork shows how the songs have been split into “Part I – An Invitation” (In The Branches featuring Steven Taylor) and “Part II – In Isolation” (In The Branches). This is potent music that digs into the darker corners of the psyche, but not without optimism. It’s a half-conscious, half-subconscious trip across time and space, blending ancient and future; organic and synthetic; experimental and traditional.